For the past several months, the problem of “fake news” has been abuzz in news headlines, tweets, and social media posts across the web. With historical roots in information warfare and disinformation, “fake news” is a different kind of cyber-threat affecting people all around the globe. Using advanced machine learning and artificial intelligence technology, Talos researchers set their sights on this different kind of cyber-threat and beat out over 80 registered teams worldwide to claim first place in the Fake News Challenge. While there has been significant media coverage regarding fake news in the recent months, the modern fake news problem is rooted in a long history of information operations and disinformation campaigns. 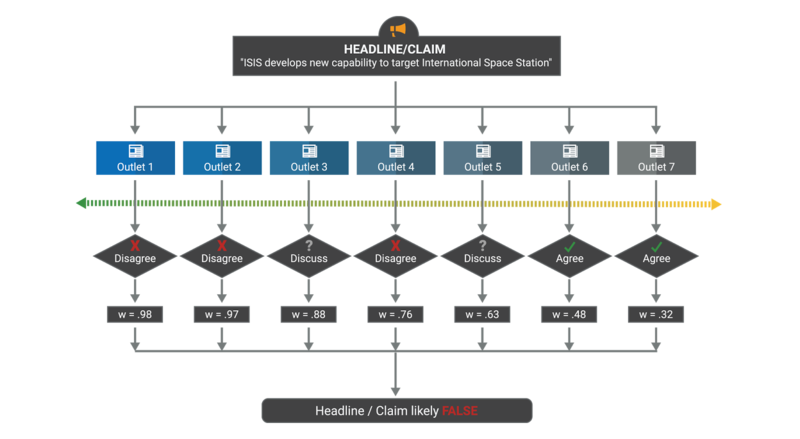 The first iteration of the challenge (FNC-1), which lasted from December 1, 2016 until June 2, 2017 focused solely on stance detection, a crucial first step in helping to detect fake news. Always interested in a challenge, the FNC piqued the interest of Talos researchers who chose the team name “SOLAT IN THE SWEN” as a clever anagram of their true affiliation. Immediately, these researchers began development work on various models and solutions in their spare time -- models which would eventually net them a first place victory. One of the goals of this challenge was “[...] to explore how artificial intelligence technologies, particularly machine learning and natural language processing, might be leveraged to combat the fake news problem [...].” Because of this, team SOLAT IN THE SWEN decided to test how various cutting-edge machine learning techniques performed. After successfully implementing several different models, the team found that their results were best when combining multiple models in an ensemble. 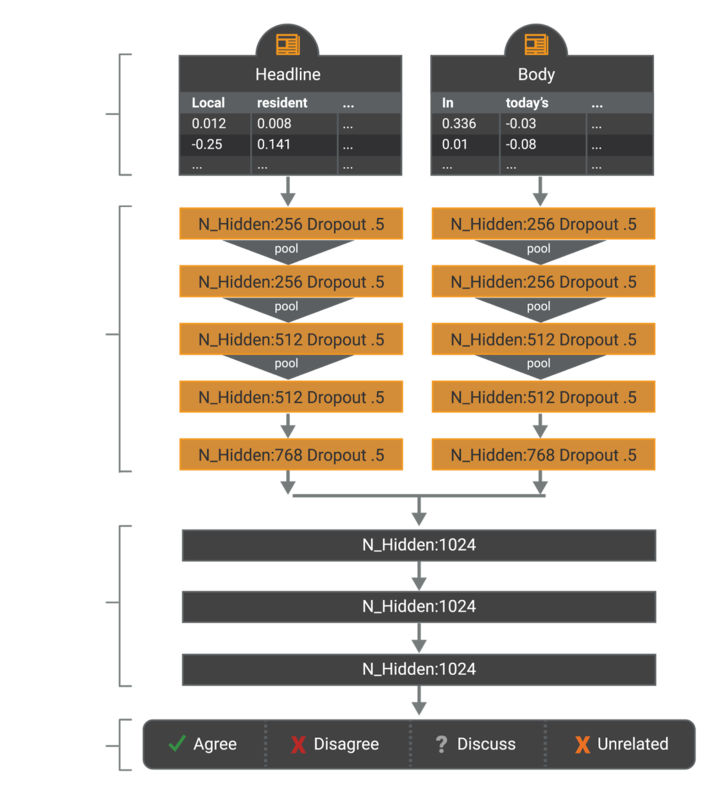 The team’s final submission was an ensemble based on an 50/50 weighted average between gradient-boosted decision trees and a deep convolutional neural network. The full code can be found on the Talos GitHub, open sourced with an Apache 2.0 license. The first model used by the team applies several different neural networks used in deep learning. This model applies a one-dimensional convolutional neural net (CNN) on the headline and body text, represented at the word level using the Google News pretrained vectors. 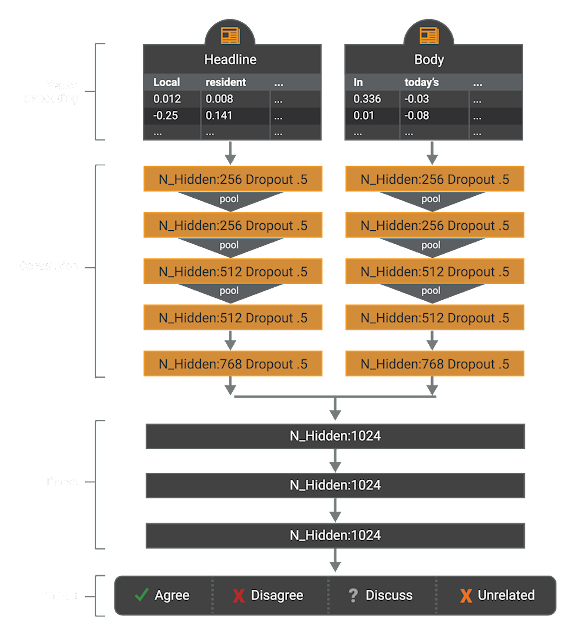 CNNs allow for efficient, effective parallel computation while performing The output of this CNN is then sent to an multi-layer perceptron (MLP) with 4-class output -- “agree,” “disagree,” “discuss,” and “unrelated” -- and trained end-to-end. The model was regularized using dropout (p=.5) in all convolutional layers. All hyperparameters of this model were set to sensible defaults, however, they were not further evaluated to find better choices. The architecture of this model was selected due to its ease of implementation and fast computation since we can rely on convolutions instead of recurrence. Judging from the relative strength of this model convolutions seem to be able to capture a wide variety of topics; however, the model is limited in that it only gets to observe the text once. 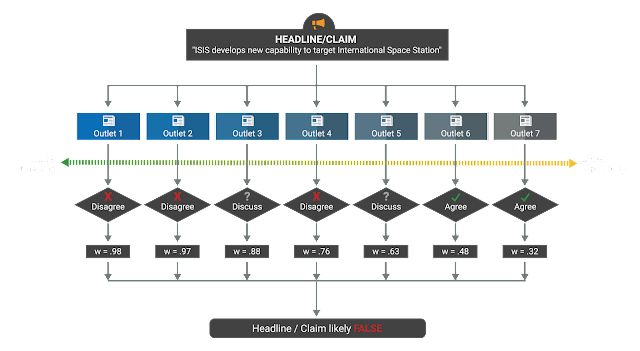 A potential extension to this model would be to include some sort of attention mechanism with recurrence after the convolutions which would allow the model query specific aspects of the headline/body after receiving a general summary from the CNN. The other model employed in the ensemble is a Gradient-Boosted Decision Trees (GBDT) model. This model inputs few text-based features derived from the headline and body of an article, which are then fed into Gradient Boosted Trees to predict the relation between the headline and the body. Similarities measured after transforming these counts with term frequency-inverse document frequency (TF-IDF) weighting and Singular Value Decomposition (SVD). Using these features, it is not necessary to use a powerful and expressive model to learn the complex mapping from these features to the stance label. For this, Gradient-Boosted Decision Trees were chosen because of the model’s robustness with regard to the different scales of our feature vectors. Specifically, no normalization is needed and it can be regularized in several different ways to avoid overfitting. 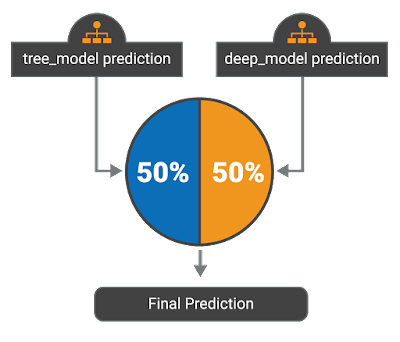 Furthermore, XGBoost is a very efficient, open-source implementation that was easily applied to the handcrafted features. Giraffe Livestream Continues to Fourth Week with No Action. 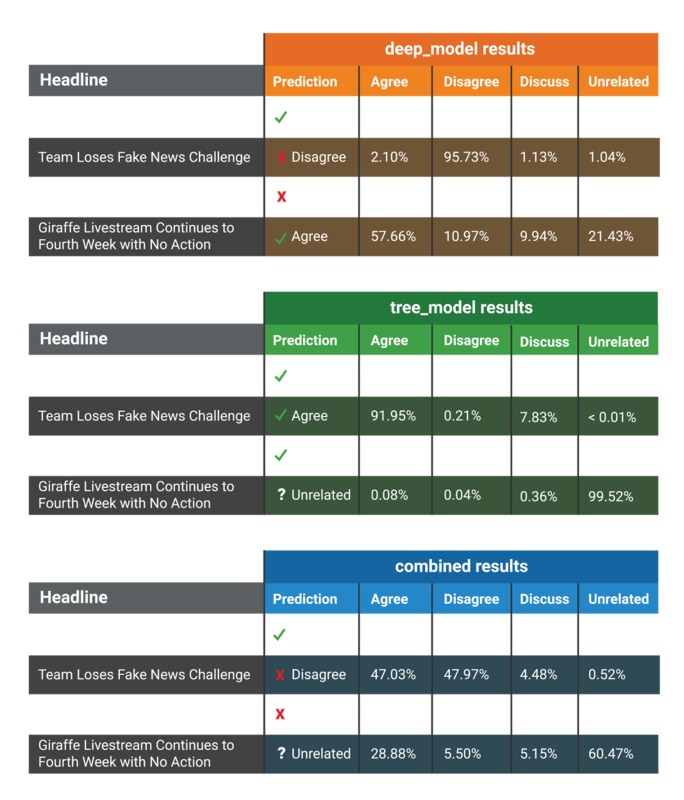 As shown above, while neither the deep learning approach nor the GBDT approach had perfect accuracy, the combination of these two approaches with a 50/50 weighting detected the correct stance for each headline. In the end, these innovative model implementations put Talos on top of the global leaderboard. 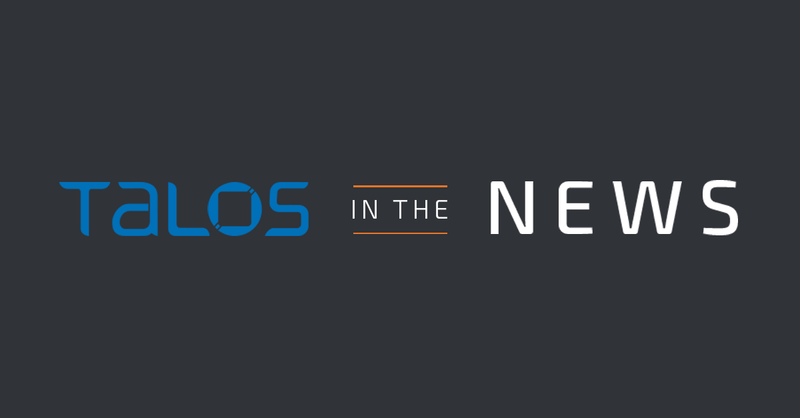 While more research needs to be done, Talos’s award-winning research on stance detection is an important first step toward tackling the problem of fake news and disinformation in the 21st century. 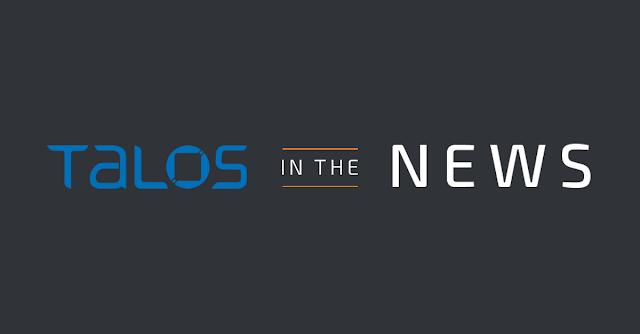 As the Fake News Challenge moves forward and the natural language processing community continues to churn out cutting-edge research, Talos remains committed to continually forcing the bad guys to innovate. "fnc" and king of fake news "cnn", you guys are funny.